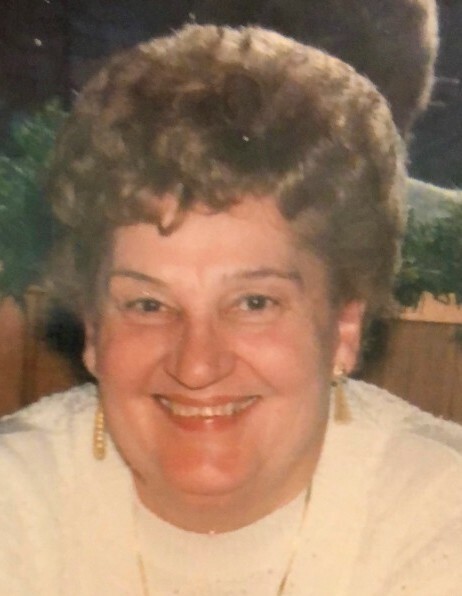 Mrs. Nina Trush Balick, 89, died Tuesday, April 9, 2019 in Peggy Coloney’s House, a division of the Center for Hope Hospice in Scotch Plains, New Jersey. Family and friends are invited to the visitation in the Kowalski Funeral Home, 515 Roselle Street, Linden on Friday, April 12th. from 4:00-8:00PM. The Panachida will be said on Friday at 6:00PM during the visitation. On Saturday, April 13th., from 8:15-8:45AM everyone will gather in the funeral home where a prayer service will be held at 8:45AM, followed by the Divine Liturgy to be offered in St. Vladimir Ukrainian Catholic Church in Elizabeth, New Jersey at 10:00AM. The prayers of committal will precede her burial in the family plot in St. Gertrude Cemetery in Colonia, New Jersey. Mrs. Balick, the daughter of the late Mary Hika Trush and the late John Trush, was born in Newark, New Jersey. She resided in Linden, New Jersey from 1932 to 2015, when she moved to Cranford, New Jersey and then eventually settled in Westfield, New Jersey. Mrs. Balick was a member of the Apostleship of Prayer and the Senior Sodality, both of St. Vladimir Ukrainian Catholic Church of Elizabeth, New Jersey. She had been the sole surviving member of the Sweater Club, which was a private group of women who during the war made sweaters for the men overseas. This club eventually evolved into a social group where the ladies met to play cards and have coffee and cake. Mrs. Balick’s talents were also utilized at the Crochet Club at the Gregorio Center, in Linden and she had been a long time member and past financial secretary of the Ladies Auxiliary Linden Knights of Columbus Council #2859. Mrs. Balick was predeceased by her husband Frank Balick in 2006; her daughter Rosemary Balick Bejgrowicz in 1999 and her great granddaughter, Isabella Marie Howlett in 2011. Mrs. Balick is survived by her three sons, Frank John Balick and his wife, Debbie, Joseph Peter Balick and his wife, Allison and Robert Michael Balick and his wife, Robin; her son-in-law, Deacon John P. Bejgrowicz; her seven grandchildren, Lisa, Tricia, Laura, Courtney, Emily, Jessie and Anthony and her eleven great grandchildren, Nicholas, Emma, Alexandria, Jennifer, Craig, Maggie, Drew, Savannah, Shelby, Elizabeth and Emma.